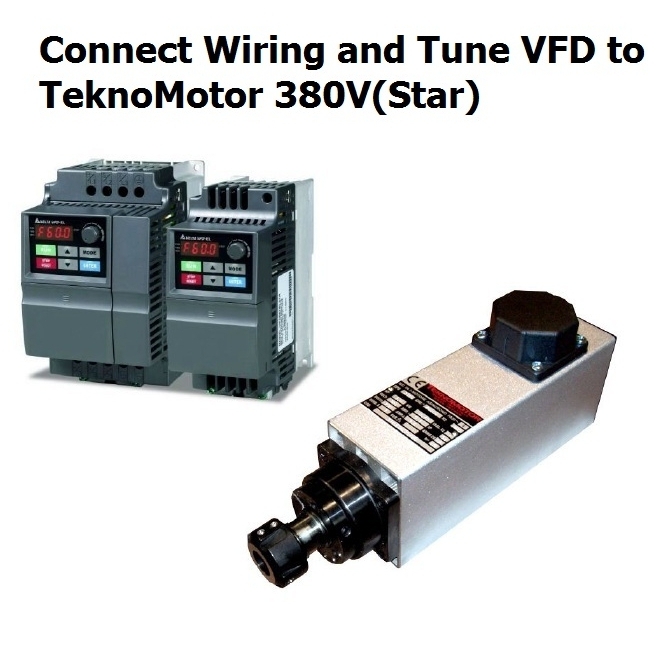 Connect Wiring and Tune VFD to TeknoMotor 380V (Star) | DamenCNC B.V. Connecting a TeknoMotor to a VFD and setting the parameters is not a difficult task if you know what you are doing. The problem is, if you make a mistake setting the V/F curve within a few minutes you can damage the TeknoMotor. For this reason we prefer to Tune the drive for the client, to prevent any problems. You can select the cable length you need between the motor and the VFD. Most common is 3 meters.